Contact me today for a free consult on your video project. Yes of course Darryl, I’d be happy to tell you everything I know. But be prepared to tell me everything you know about working with the Seahawks! I’m a fan. A tip for using WordPress: Rename you “Uncategorized” category to your default. That way if you forget to add a category to a post, it still looks okay. In your case I’d suggest calling it “Filmmaking” or merging it with “Tips”. Thanks for an amazing site BTW, I’ve decided to start using my RSS reader again just so I can look out for new content from you. My name is Re’neir and I’m writing to you from the great state of TX! I just purchased a c100 mkii and it was a hard decisions seeing as 4k is on the lips of everyone’s these days. It was a steal at only $3800, so I figured why not. I’m seeing your blog concerning your work flow with the Fs5. 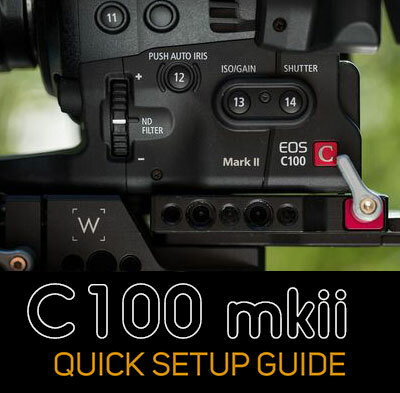 Is the c100 mkii considered a bad invest or soon to be obsolete due to the drawbacks of it? I shoot mainly weddings, docs, real estate videos and promos. I would really like to make a sound investment and something that won’t be a thing of the past soon. I really appreciate everything you do for the film community, and helping newcomers like myself adjust to the craft and giftings we are all blessed with. Thanks for your time and look forward to your response when time permits it. Hi Re’neir, you made a great choice! The C100mkii is an epic camera. Who needs 4K anyway, seriously. 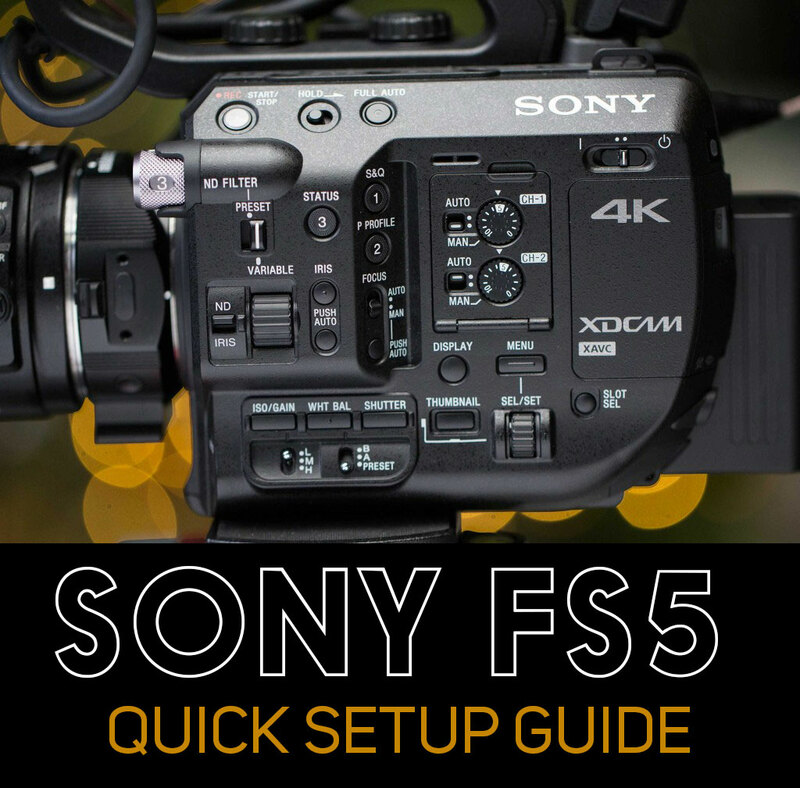 I have an FS5, but I have yet to shoot a project in 4K. Don’t need it except for rare situations, currently at least. The main reason I don’t shoot 4K is the workflow, which requires much additional editing horsepower. So if I were you, I would feel GREAT about your choice, and go out there and do some epic work with it. Maybe in 3-4 more years, 4K will become a bigger thing, but by then, the computers will all be fast enough to handle it easily. Thanks Dan! Man you truly rock. Your one of the most humble and insightful educators I have come across. Thanks for all you do and for your time. Thanks Reneir, I really appreciate that! However i tend to set my iso as low as possible because as i’m 43 i learnt photo the old way in the 80s with film and thought that the lowest iso the finest the picture would be (= less grain or dirty pixels). But you raise the point that my dynamic range wouldn’t be optimized, notably with a loss of info in the highlights. Which point i don’t dig. Could you help me ? I’m a retired Air Force photojournalist and I’m now pursuing my digital cinematography degree with Full Sail University. I’m in the third month of this 32-month degree program and my current class is “Visual Arts in the Entertainment and Media Industries.” One of the projects I’m working on is networking with professionals in my chosen career field of documentary filmmaking. I’m from Port Townsend, but currently live in Lakewood. I googled Seattle documentary filmmakers and your name was right there at the top. When I clicked on the “contact us” section, I was excited to see you take time to answer those who reach out to you. I have a few assignment-related questions for you and if you have the time, I have a few questions of my own as well. It would mean a lot to me to hear back from you on the assignment questions at the very least. Thank you very much for any help you can provide. You have a vast amount of archived information on your site. It’s easy to see you thrive in the world of filmmaking. What were some things that contributed to your success? Did you take a formal or informal career path to where you are today or was it a mixture of both? When you think about the films you’ve made and your plans for the future, what elements tend to contribute to the most gratifying moments for you? In your experience, what makes a compelling documentary? What advice would you give someone with a passion for telling the stories of others and the opportunity to travel around the globe to do so? I have a healthy fear of danger, but when I get behind a camera, all I want is to get the shot. Is there a term for that (besides crazy) in filmmaking? Thank you so much for your time. I look forward to whatever you can provide and I look forward to knowing you better. Have a wonderful holiday weekend. Great questions! I’ve replied to you via email. Love your work Dan. Have you ever posted lighting diagrams for shots in your artesan series (Doll maker, Coffin maker, and Metalworker)? Hi Brian, great question. For that series, it was mostly about taking light away, more than it was about adding it. Most workshops are completely overlit! So you have to make them moody. Start by turning off all the lights. Block most of the windows with black foam core or blackout cloth. For the Metalsmith, I allowed some of the natural light to come in from a skylight that was present, and a couple of windows. That was basically it! The closeup stuff was lit with his table lamp. For Coffinmaker, same thing – there was one overhead skylight in the space that I allowed to stay open, but rest of windows I blocked up. For the shot that looks like a ray of light beaming in on him while he’s sanding, I used an Arri 650 and got the light texture by using a Rosco fog machine. Hope that helps! I use FCPX and have used Pixel film studios free LUT loader. I think I loaded one but it looks awful. I tried loading others and it is not taking right. Getting confused and frustrated. Can you help? When you say terrible, what exactly do you mean? Too light/dark? Color too saturated? When using the sgamna/Cine with a color temperature like SGAMMA/CINE4300k, what do you do with the camera’s native white balance setting? If you’re using one of those color-temp specific presets, (a good idea when shooting Slog), you can ignore your camera’s other white balance settings, because this will override them. How do you handle clients who want branded docustyle content, but they want a “script” that tells them everything they will see and hear? I feel like they are nervous and uncomfortable with the uncertainty of producing this type of content, not knowing exactly what will be said by the subjects. Thanks for any thoughts you have on the matter. I’ve written a post about how I approach the question of clients being nervous about what you’re going to produce for them. In a nutshell, I break my projects into two parts – audio-only interviews, which are a form of casting. Once we’ve found a good subject for the story, I make a “radio edit” with a goal of making it sound like a This American Life piece complete with music and pacing. I back-and-forth this with the client until they are happy, and then move to video production. It’s crystal clear what we’ll be filming at this point, and clients are virtually guaranteed to LOVE your rough cut having been part of the process like this. Hi Dan – recently purchased a Zoom H4N and a Rode NT1-A. Have now discovered the common problem most people have with the Zoom and phantom-powered mics, and that is the poor grade preamps in the Zoom. In an effort to not have to spend another $300-500, I’m trying to find a work-around. I read your article from 2011: Zoom H4N with Sound Devices Mixpre: how to properly connect the two for pristine audio. At the bottom you said there was an even better solution and a Part II, but when I clicked the link there’s no article found. Is there a part II somewhere to your 2011 article? You can get an original MixPre very cheaply right now on Ebay, because the new MixPre 3 and MixPre 6 have made them redundant in many ways. I myself purchased a MixPre 3, and it’s my go-to recorder now for most of my documentary work. But, if I were trying to save as much money as possible and get a recorder solution that is almost as good, I’d totally consider going with the Zoom and an original MixPre. I did that for quite a few years.